THANKS TO EVERYONE WHO CAME TO THE FESTIVAL AND TO ALL OF THOSE WHO HELPED TO MAKE IT SO SUCCESSFUL. The Inland Waterways Association, River Weaver Navigation Society, Development of the Arts in Northwich and local boating clubs are joining forces to create a fabulous interactive celebration on the River Weaver. 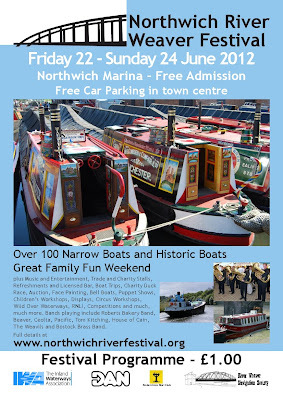 The 2012 Northwich River Weaver Festival celebrates the River Weaver and its history. 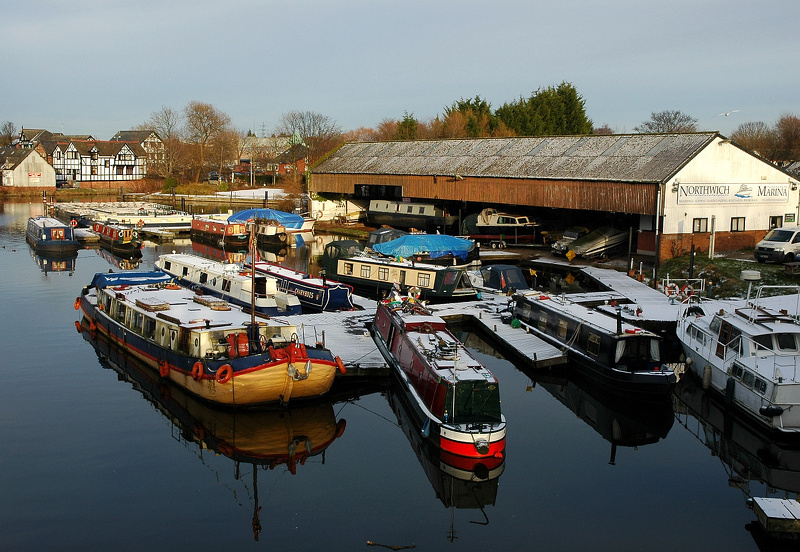 A festival of arts, music and family fun on the banks of the river Weaver in Northwich. With a program of water-based entertainment, cultural and family events, including 'Wild Over Waterways' for the children, bell boating, music, workshops, arts & craft demonstrations, historic working boats, brass bands and trade displays. 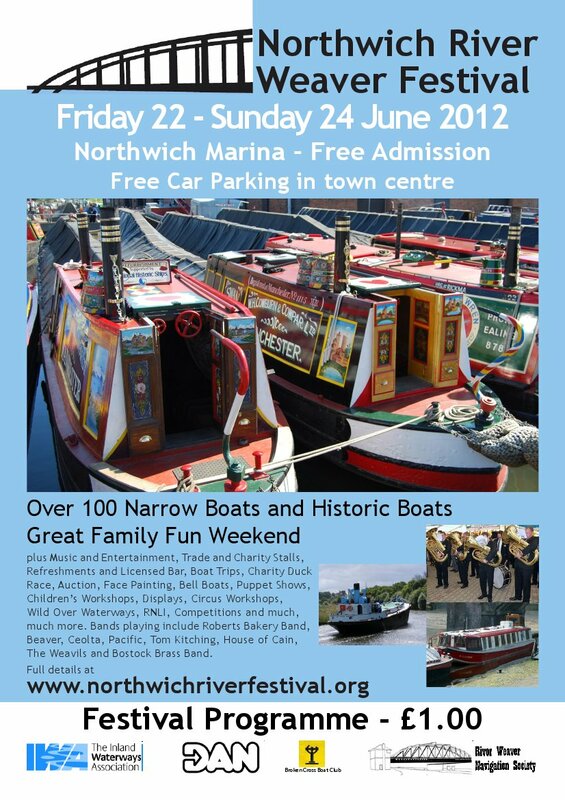 Flotillas of the finest examples of historic boats will grace Northwich riverside over the weekend, there will be grand daily parades with live expert commentary as the fleet winds its way through town wharf accompanied by Brass bands and traditional folk music. The boats exhibited will cover the whole spectrum of inland waterways craft. Vintage canal narrow boats, motors, butties, Dukers and working boats many of which return home to the place they were built, Yarwoods of Northwich. Also, with the proximity of the historic Anderton Boat Lift, one of the wonders of the waterways and the Manchester Ship Canal, the festival will be given a whole new dimension with boats arriving from the Trent & Mersey canal, Manchester Ship Canal and the River Mersey. Designed by Nick Hughes. Ethereal theme. Powered by Blogger.